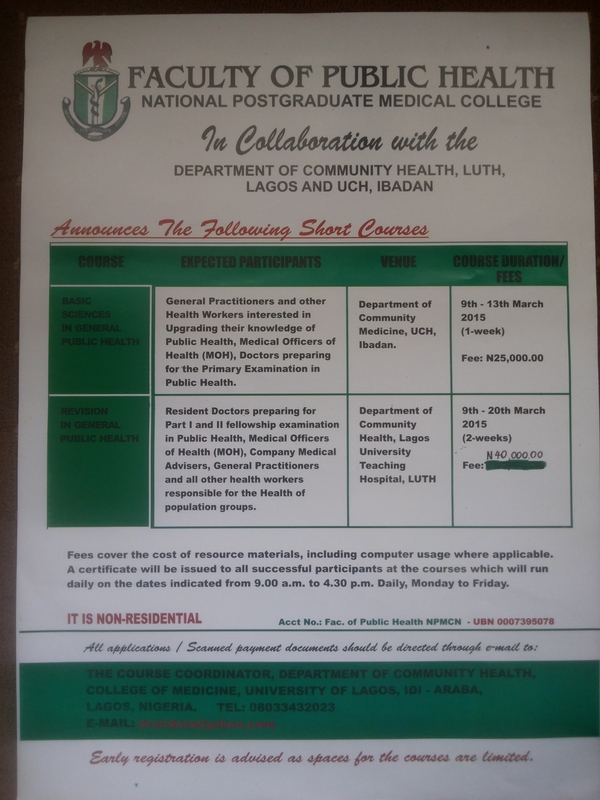 Resident doctors preparing for Parts I & II Fellowships Examinations in Public Health, Medical Officers of Health (MOH), Company Medical Advisers, General Practitioners and all others health workers responsible for the Health of population groups. Department of Community Health, Lagos University Teaching Hospital. 9th to 20th March 2015.